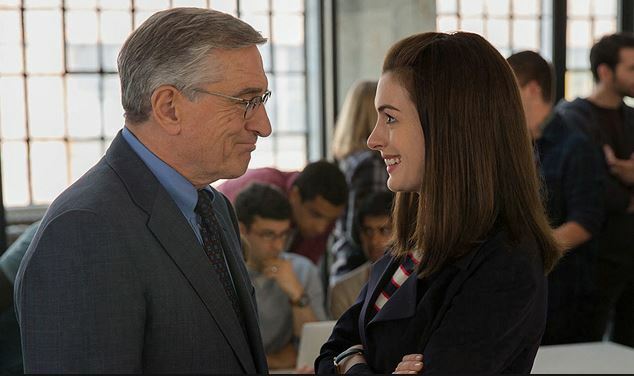 In the new movie, The Intern, Ben Wittaker (Robert De Niro) has discovered that retirement isn’t all it’s cracked up to be. In fact, he’s so sick of it that he responds to an advertisement seeking senior interns at a Brooklyn startup. He finds himself in the middle of mass chaos created by the company’s CEO, Jules Ostin (Anne Hathaway), whose online clothing business took off and left her in charge of 250 employees. To top it off, Ostin has a demanding relationship and love life involving her husband Matt and daughter Paige. Ben is able to help her navigate some of life’s most important challenges. Cupid has the details on this humorous relationship movie! …Want to learn more? Click here for the rest.